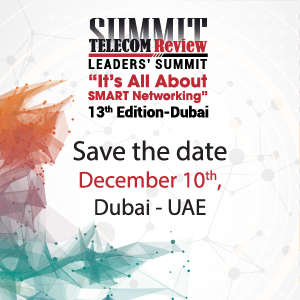 In light of the fact that Nokia has recently been identified by Current Analysis as the number 1 vendor of 4G public safety technology in a study involving 100 global operators, Noel Kirkaldy, head of Vertical Solutions Business Development, Middle East and Africa, Nokia discusses the company’s involvement with critical communications, as well as its selection by Nedaa in Dubai to deploy smart city solutions based on a 5G-ready next generation network. Nokia has been identified as #1 vendor of 4G public safety technology by Current Analysis in a global study of 100 operators. Can you shed more light on this? We are very pleased to have been identified by 100 global operators when they were asked the question of which vendor they see as taking a market leading position in the area of mission critical communications network technology for public safety. Operators from all regions including Europe, Middle East, Africa, Asia Pacific and the Americas were surveyed. It was conducted on a global basis which reflects a couple of things: Nokia is seen globally as the leading vendor of 4G-based public safety technology, and as a global vendor driving the required investments in the research and development activities to support this industry moving forward. How has Nokia evolved over the years to reach this #1 position? You need to go back in time. We’ve worked in a number of government initiatives primarily based around the TETRA space (back in 2000-2006). Nokia was manufacturing TETRA equipment, and many deployments you see in the Middle East and Europe today were made by Nokia. These deployments are still active with many customers today. Nokia divested that business in 2006, nevertheless, a lot of the support is still continuing with Nokia Research and Development capabilities. Nokia has been heavily involved in understanding these market requirements, and what we see now is the convergence of voice, data and video moving back towards 3GPP technologies like LTE – an area where we are getting more involved with. At Critical Communications World, Middle East, in October 2015, Nokia announced that it would be moving back into the public safety market. The interesting thing when we look at public safety, we take a step back and look at critical communications, which can be mission critical, public safety (police cars, ambulances), as well as business critical (oil and gas, logistics). This is how critical communications begins to play into the smart city initiatives. Nokia has been commissioned by Nedaa, the Dubai government security networks provider, to deploy smart city solutions based on a 5G-ready next generation network. Can you tell us more details about this deal? Nedaa made a decision back in 2000-2001 to use TETRA technology designed for mission critical voice and low speed data. What we saw with the unfortunate incident when fire caught a hotel in Dubai on New Year’s Eve was that people were able to be evacuated at prime time, which was due to dedicated spectrum and dedicated TETRA technology to spread the awareness. However, now we need to look at the next generation of technology. Nedaa is making the right decision and investing effectively for the next five to 10 years. If you’re looking at where we stand today, LTE as a technology first started back in 2009-2010, while 2016-2018 timeframe will see 5G getting built on top of LTE, and then the specifications will be defined. If you take 5G, what we’re looking at is ultra-massive broadband, critical communications and low latency. These three elements are what these types of critical communications or public safety organizations are looking for. That’s why Nedaa went with 5G ready next generation network looking to the future. What are the technologies Nokia offers to build a reliable network that can fully address not only the stringent requirements of critical communications and public safety, but also lay the solid foundation for IoT and smart city? The baseline technology we’re working with is telco grade carrier 4G LTE network. As you head towards 5G, LTE will continue to be the underlying technology and that will be the base for other technologies to be built on top. Nedaa is effectively starting with a clean slate from the mobile broadband requirements for mission critical communications; so it’s not starting with 2G, 3G or the early LTE, but going straight to the LTE-Advanced and 5G-ready solutions. On top of that they’re looking at high resilience network both on core and radio access as well as mobile backhauling; all these requirements can be supported by Nokia products and solutions. Whether it’s a traffic signal or someone working on an incident as a responder, it’s all based on critical communications. A lot of the 5G requirements are based around critical communications, for both commercial, mission-critical and business-critical. That’s how we see this moving forward. All of these technologies are being made commercially available. Many of these technologies were demonstrated live by Nokia at the Mobile World Congress 2016 in Barcelona. How do you see the market in critical communications, IoT and smart city space for Nokia in the Middle East and Africa market? We see the Middle East playing a pivotal role in safety and security, and a lot of the investments are going into smart city initiatives not only in the UAE, but also in Qatar, Saudi Arabia and in other regions like North Africa. The area that we like to refer to is not only safe and smart cities, but safe, sustainable and smart cities. I think sustainability is very important for many of the African markets. When we look at some of the other markets globally, the safe, smart and sustainable city is a key area. We are working with a number of leading operators and have signed a number of agreements already, as we gradually move towards IoT and smart city initiatives. The term smart city is thrown around quite easily, meaning different things to different people, but we in Nokia see the baseline of it coming back to critical communications and how we build on that. I think in the future we will see more government involvement with open data initiatives, for example, and more convergence of services from commercial operators, for the betterment of everyone – a very positive sign. What challenges do you foresee for this smart city solutions project? One of the key challenges we face is working between multiple sectors. The way we tend to see ourselves is horizontal, providing the baseline solutions with very specific verticals that we will be working into. For example, oil and gas industry has different requirements to transport. We see Nokia’s strength as providing horizontal solutions so we can start to provide the baseline to connect. This is not a single industry initiative. Some use cases need ultra-low latency, while other use case applications need a higher level of security; hence, Nokia delivers a solution that is fully compatible and flexible to meet multiple vertical applications use cases.